I was faced with a predicament rather recently. Nosing around the Cire Trudon store in London, which is neatly tucked away along the rather immaculate Chiltern Street, I was guided through the brand’s extensive range of scented candles. Each of the candles takes inspiration from something unique, whether that be the mossy stone walls of a convent, the cerebral strangeness of an art movement or even Parisian Laundry Maids. It is most definitely an eclectic collection and it would be fair to say that Cire Trudon do things a little bit differently and they make some striking, and nose-tinglingly beautiful candles as a result – candles that smell unusual and modern, which is no mean feat considering Cire Trudon’s illustrious history. So, back to my dilemma. As I moved along the line of candles, picking up the heavy glass cloches that encases each of the jade-coloured glass jars, twisting them towards my nose to inhale their swirling aromas, I was posed with an impossible question: which one would you like? “Argh! Don’t make me choose”, I thought, “they’re all so darn nice, how am I ever going to pick one to take away?” Not one to be good at making decisions on the spot, and not being a fan of the idea of having to move into the store to live out the rest of my days because choosing when there is extensive choice is impossible for me, I let my nose do the talking, as it were, and picked out the candle whose scent intrigued me the most. That candle was Solis Rex. That’s right, I’m about to drop a whole heap of Yuletide realness in your browsers. I apologise in advance, but at this time of year it’s simply jolly good fun to do a gift guide, and that’s exactly what I intend to do. Over the coming weeks you will be treated to four gift guides, starting with this one and ending with an installment in my Escentual column. I want to point you to a veritable cornucopia of scented awesomeness this Christmas with guides that look at affordable, wallet-destroying and quirky yuletide fragrances for the body and home. We start today with scented candles and a confession: I blinking well love a fragranced candle. To me, there are few joys more pleasant than walking through the front door at home and being greeted by an intense wave of delightful fragrance, all of which emanates from one simple flame. 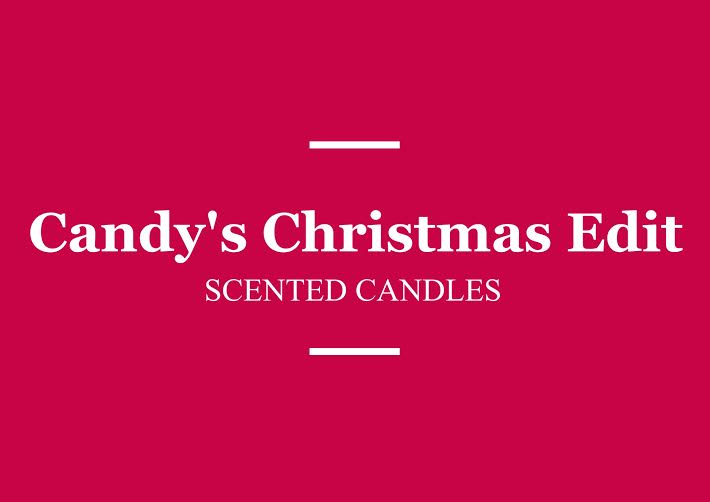 In this guide you will find five scented candles, some from well-known brands and others from more subversive outfits, but all with The Candy Perfume Boy’s seal of approval. Each has excellent project and longevity, and will make a wonderful treat this Christmas. Swedish perfume house, Byredo have launched their popular and Fragrance Foundation Award winning fragrance, 1996 as a limited edition candle. The fragrance, which was created in collaboration with fashion photographers Inez Van Lamsweerde and Vinoodh Matadin, was inspired by a photograph taken by the duo in 1996, and is described as a scent that “combines polar opposites” and boasts a distinct accord of “viscous black amber”. 1996 was one of my favourite launches of 2013 and in my review I described it as being “sepia toned”. It’s an unfamiliar take on amber that sees sharpness, sweetness and unique textures pieced together to create a truly exceptional blend that is really unlike anything else out there. It is easily the brand’s most exciting fragrance and now, for those that love it, there is a candle too! As I get older I realise that I love my home comforts more and more, and a good night for me is one spent in with great food, a movie (which doesn’t necesarily need to be great) my Nigel and my cats. To perfect a relaxed evening at home all one needs to do is light a lovely smelling scented candle – and If there’s one thing I love just as much as perfume it’s a scented candle. The great news for us perfume lovers is that many fragrance houses offer home fragrance lines, including scented candles, that capture the scent of some of our favourite perfumes and some that offer up entirely new odours. 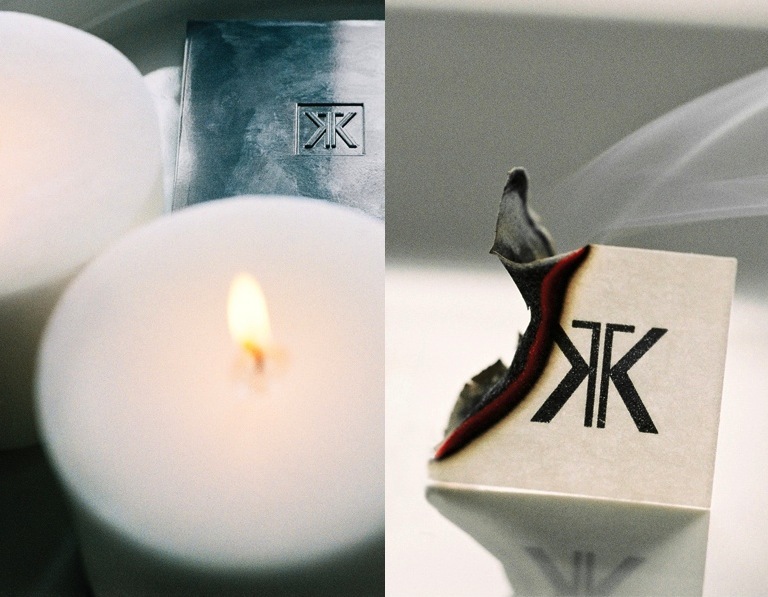 One fragrance house whose candle offerings are particular intriguing is Maison Francis Kurkdjian. As part of our wedding day Nigel and I are dead set on including some Maison Francis Kurkdjian candles in our ceremony – after all it would be a crime for our wedding not to be impeccably scented now wouldn’t it? So we know what brand we want, and we know we want floral candles so that narrows the selection down to two candles; APOM and Aqua Universalis.